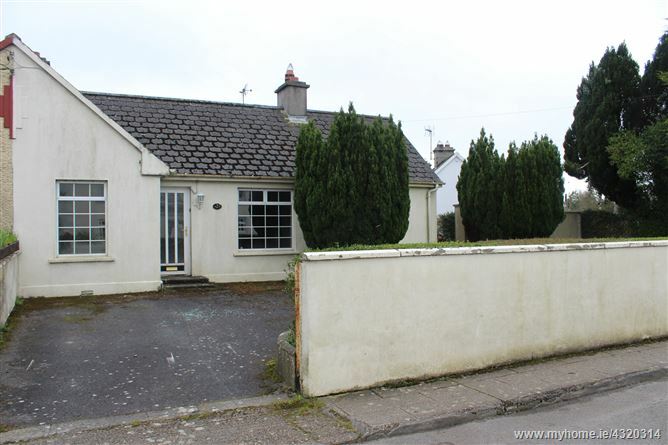 Four bedroom semi-detached bungalow located in the centre of Slieverue village close to all amenities in need of refurbishment. Located 5.6 km from Waterford City centre just off the N25 Waterford-New Ross road and 7.7 km from the M9 Motorway. Open plan to Kitchen. Side door to garden. With bath, w.h.b and w.c. Tiled floor. Large garden, detached fuel shed and small boiler house. All village amenities are within a few minutes walk including shop, primary school, GAA playing fields and bus route to city centre. The property has been substantially extended in recent years.